Nanyuki – a modern spacious self-catering cottage, just for two. Nanyuki is a perfect base from which to explore the varied delights of Scotland’s wild and remote places. Only a short walk from the sea, Nanyuki boasts an excellent rural situation on the Common Land of the crofting village of Drumbuie. 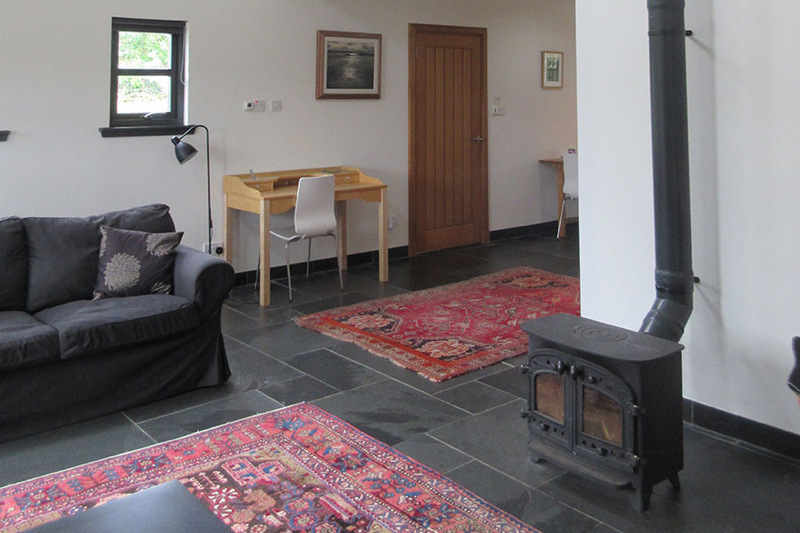 The cottage has an open contemporary design giving it a unique internal space with balcony and vaulted ceiling. The ground floor consists of a well-equipped modern kitchen and dining area with further large living area with Sky TV and WiFi. Nanyuki was designed to be very spacious accommodation for two adults. It has only one shower–room and thus would be less suitable for larger parties. Sleeping accommodation consists of a large upper double bedroom with views to the Applecross peninsula. 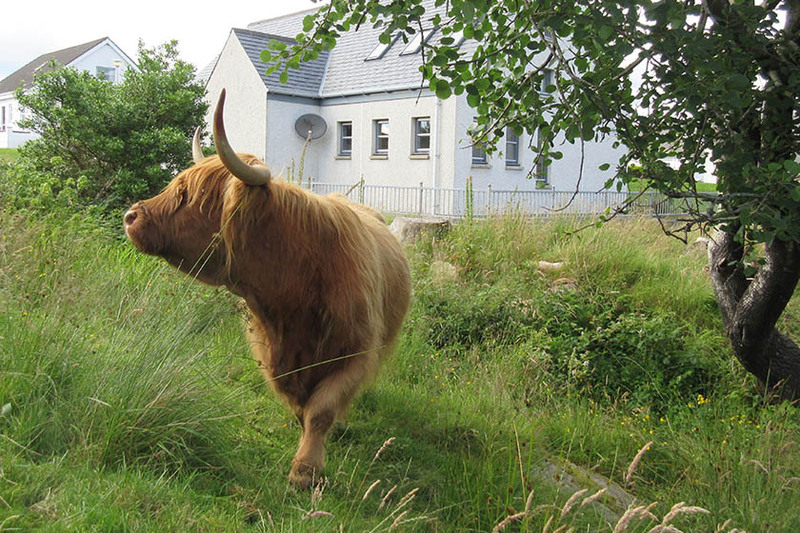 Duirinish rail station, on the Highland line, is only a pleasant walk away. Visitors, whether on bikes or in their cars, enjoy travelling in the locality because the scenery is so stunning, and the roads are relatively quiet. The roads around the West Highlands are rarely flat, wide or straight, so are both challenging and interesting for cyclists. We can advise and help to support visitors who want to cycle in the area. You can see our availability and book on AirBnB or Trip Advisor’s FlipKey.